Would you like to volunteer with us? Our volunteers play a vital part in looking after the Cemetery and support a wide range of activities. 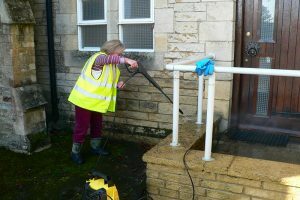 Our volunteers make a real difference to the Cemetery. They share their time, talent and know-how and are crucial in helping to conserve and enhance this unique heritage site in the heart of Bedford. Carrying out research; there are approximately 1200 memorials in the cemetery. We would like to know more about our ‘permanent residents’ so that we can keep their memory alive. We are in the process of uploading details of our gravestones to our website and would welcome assistance with this. You could also become a guide for groups visiting the cemetery, or help individuals to find graves of their relatives. We also need fund raisers and organisers for events such as talks, walks and bric-a-brac sales or you could perhaps give support for other volunteers running these events. Help with gardening and other light maintenance work is also needed. 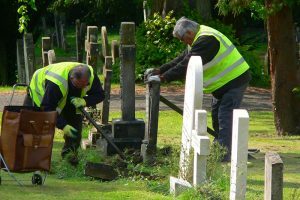 The cemetery needs constant care and every Thursday morning volunteers are welcome to drop in anytime from 9am until 1 pm to help us carry out important tasks. All tools and equipment are supplied. ‘We stop at 11 for tea, coffee and biscuits or cakes – obviously our favourite time of the morning. It’s a nice opportunity to share things we’ve learned, borrow books, and have a natter’. 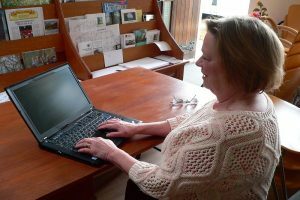 (Quote from Sue McGrath one of our Thursday morning volunteers – see ‘Friends in Action’ ). We even supply the tea and biscuits! 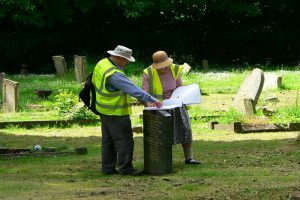 Our volunteers come from all walks of life, and because of volunteering, have made new friends, developed new skills and have learned a lot about the Cemetery. No previous experience is needed, just a willingness to get involved. 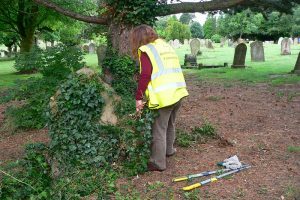 So, if you want to do something that is both satisfying and makes a difference, then why not join the Friends of Bedford Cemetery and become a volunteer? 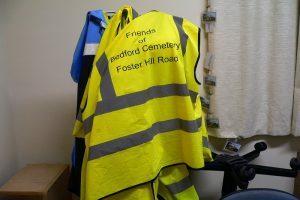 If you are interested in becoming a volunteer, please email info@fosterhillcemetery.co.uk or telephone 01234 718150. Alternatively, come and meet our friendly volunteers in person. Drop in on any Thursday at 11am for a chat and a welcome cup of tea.